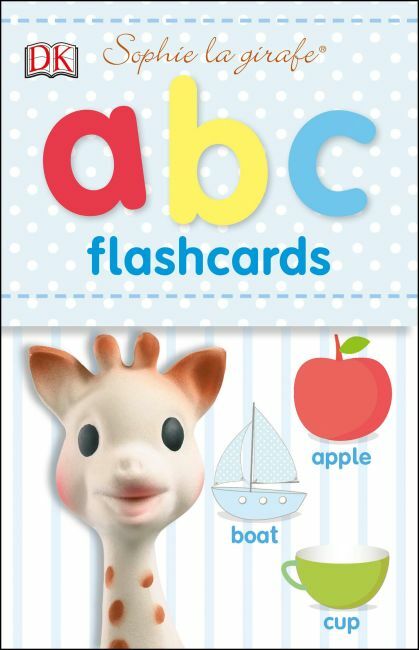 Help your baby learn the letters of the alphabet with Sophie and her friends with DK's Sophie la girafe: ABC Flashcards. Each double-sided card features a letter of the alphabet on one side along with a picture and a large clear word label on the front and images of Sophie surrounded by all her special friends from the popular Sophie the Giraffe books on the back. The familiar faces on the cards help to make it fun to learn the alphabet with Sophie, and will help them to start understanding letters and words.